You are here: Home / Blog / Fiber Optics / What is Fiber Optics? Where will Fiber Optics take me in the next 20 years? If you are looking for a career in fiber optics, there are numerous general and industry specific courses available to you. 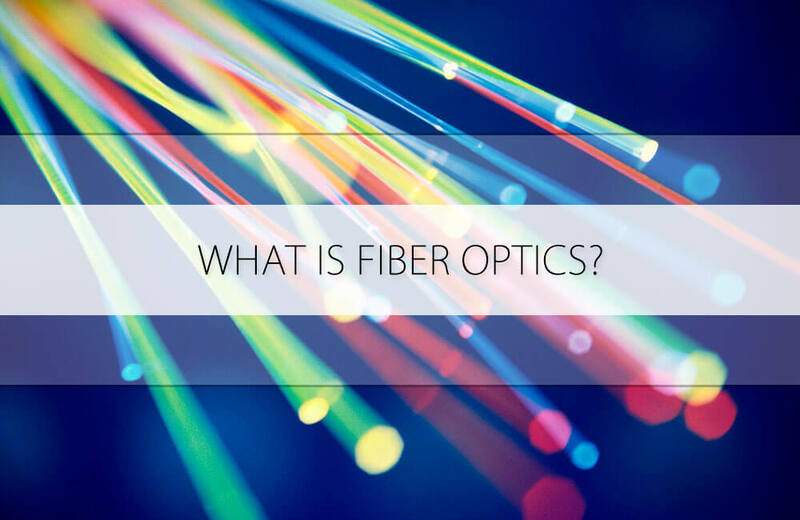 What can you expect if you choose a career in Fiber Optics? To start with, plenty of great paying jobs spanning over every industry imaginable. Hundreds of thousands have already trained for careers in Fiber Optics but in the near future, industry experts believe that millions of workers will be needed. With gigabit and ten gig Ethernet already spreading through even the smallest of commercial networks, it appears that industry experts are right-on with this call. Get involved today for a brighter tomorrow! Each fiber can carry many independent channels, each using a different wavelength of light (wavelength-division multiplexing (WDM)). The net data rate (data rate without overhead bytes) per fiber is the per-channel data rate reduced by the FEC overhead, multiplied by the number of channels (usually up to eighty in commercial dense WDM systems as of 2008). As of 2011 the record for bandwidth on a single core was 101 Tbit/s (370 channels at 273 Gbit/s each). The record for a multi-core fiber as of January 2013 was 1.05 petabits per second. In 2009, Bell Labs broke the 100 (petabit per second)×kilometer barrier (15.5 Tbit/s over a single 7,000 km fiber). For short distance application, such as a network in an office building, fiber-optic cabling can save space in cable ducts. This is because a single fiber can carry much more data than electrical cables such as standard category 5 Ethernet cabling, which typically runs at 100 Mbit/s or 1 Gbit/s speeds. Fiber is also immune to electrical interference; there is no cross-talk between signals in different cables, and no pickup of environmental noise. Non-armored fiber cables do not conduct electricity, which makes fiber a good solution for protecting communications equipment in high voltage environments, such as power generation facilities, or metal communication structures prone to lightning strikes. They can also be used in environments where explosive fumes are present, without danger of ignition. Wiretapping (in this case, fiber tapping) is more difficult compared to electrical connections, and there are concentric dual-core fibers that are said to be tap-proof. A single optical fiber can carry 3,000,000 full-duplex voice calls or 90,000 TV channels. Conventional cable systems use large amounts of copper. In some places, this copper is a target for theft due to its value on the scrap market. Optical fiber can be used to transmit power using a photovoltaic cell to convert the light into electricity.While this method of power transmission is not as efficient as conventional ones, it is especially useful in situations where it is desirable not to have a metallic conductor as in the case of use near MRI machines, which produce strong magnetic fields. Other examples are for powering electronics in high-powered antenna elements and measurement devices used in high-voltage transmission equipment.